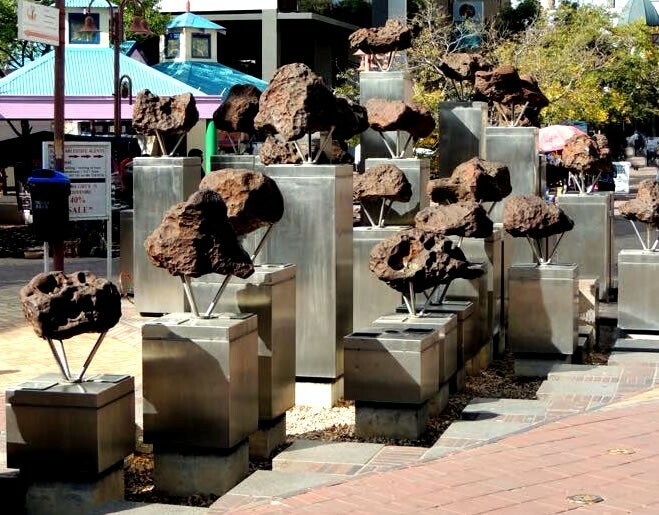 The 30 Gibeon Meteorites, 600 million years old, are mounted on steel columns in Post Street Mall. Between 1911 and 1913, Dr. Paul Range, the State Geologists for the Government of German SWA, collected 37 meteorite fragments in the Gibeon area. Their weight ranged between 195 - 506 kg. Two were stolen while in storage, while four were donated to various institutions for research purposes. 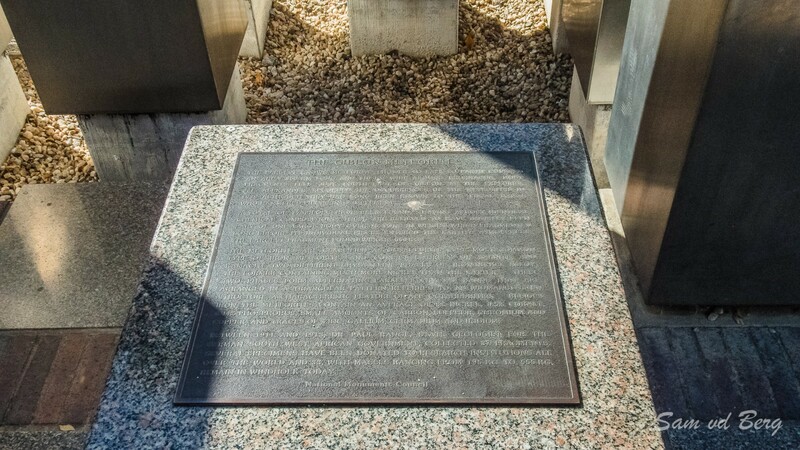 Since the installation of the Meteorite Fountain, another meteorite has disappeared. 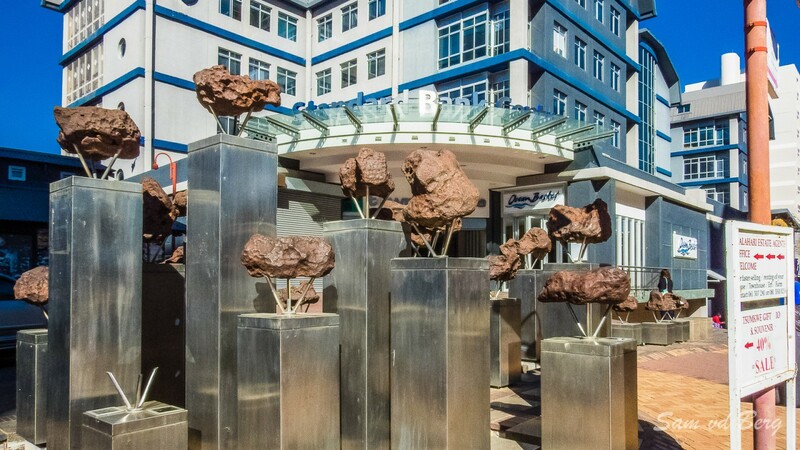 All pieces are thought to be part of one large meteorite with a mass of over 17 tonnes, which fragmented long before it entered the earth's atmosphere.